Are you one of those people that is trying to find quick success in driving more organic traffic to your website? Or are you looking for new, easy, and automated ways of getting an extra push with your current internet campaign? Maybe you’re neither and you’re just trying to get a better since of some of the BlackHat SEO methods people are using the increase the number of visitors on their website, and bring in new business opportunities. One of the methods that has been common for a few years now, and will probably continue to be will be is buying of social signals. Why is this something that internet marketers would even spend money on, and what are the benefits of doing so? Some time back we published an article on how Google treats social signals, and in recently years there have been endless case studies, comments, and discussions on the impact they have on SEO and digital marketing in general. The fact that people have been and will continue to pay for them might be all the evidence needed to support the idea that there is some value in purchasing them. 1) Social Signals Are a Ranking Factor – This is probably the #1 reason people pay for social signals. Not only have Google and other search engines confirmed that social likes, shares, favorites, re-posts, links, etc impacted the SERPs… but there is plenty of evidence that support this fact. One of the most commonly known is the report that Moz has been doing for a few years that highlights specifically how social media signals weigh against other popular ranking factors; here is the most recent report from 2015. 2) They Give the Appearance That You’re Popular – Even for the many digital marketers that have paid for social signals but have yet to see a positive impact on the SEO side of things, having the appearance of 1,000s of links, shares, retweets, followers, etc is often times very impressive to the existing visitors. There are a number of benefits to having this perceived popularity, but some of the most appreciated is that it makes other people that are not currently following your brand or sharing your content more willing to start doing so. Additionally, for those of you that are trying to monetize your website and brand, you can lean on your “social following” as a way to better negotiate sponsorships and other business opportunities. This benefit alone might be enough to make some pull the trigger and look into buying social signals. At the very least, hopefully it will make you take your social media marketing campaign more seriously; even if you don’t want to get involved with BlackHat tactics. If you’re like some marketers and still aren’t extremely comfortable with using social media platforms, you might consider figuring out how you can work with a social media consultant to get the ball rolling and send you in the right direction. 3) More User Engagement On Social Platforms – There is definitely a wrong way to buy social signals that literally have zero impact on the SEO side of things, as well as on the social platform you’re focusing on; but the opposite is also true. Creating useful and unique content, and covering topics that are trending or that are on the minds of your target audience… all while paying for social signals can be a GREAT way of interacting with users you may have otherwise not been able to reach. 4) They Bring in Direct Traffic to Your Website – This benefit is slightly connected to the one above, but it’s definitely worth mentioning. If you’re able to pay for someone or use software to start “making noise” on social platforms and it results in people actually clicking through to your website and converting… that would be considered a successful marketing strategy for just about any digital marketing campaign. These are just a few reasons why this digital marketing tactic continues to be common, but there are others that we will be sure to consider at a future date. So should you start buying social signals? The question for many of you remains… should you buy social signals? We’ve identified a few benefits to doing so, and how they can actually have a positive impact on your overall internet marketing strategy. When it comes to using BlackHat tactics, one of the biggest issues that you most likely will have to face in the future is having your website/brand penalized for doing so; we spoke about this very subject in an article last year HERE. It’s a widely accepted fact that most of the updates that search engines apply to their algorithm’s usually focus on making these types of methods ineffective and even harmful to your website’s rankability. But does this apply to social signals? Will social signals that are “fake”, “bought”, “un-natural”, etc be a deterrent to ranking well in the search engines? Based on the history of anti-BlackHat updates that search engines like Google have been making for years… the short answer is PROBABLY. For those of you who do not care about this possibility, then sure… you might want to give getting more social signals a try. For those of you that have a brand/business/website that you care about and want it to be around for a long time, you might want to think twice. The real point is this… no one can decide for you since you’re the one that has to live with the consequences of using BlackHat methods or not. Another thing to consider is the fact that since BlackHat SEO is not the only form of digital marketing that’s available these days, why not try to work in line with the TOS of Google or whatever search engine you’re targeting? Too hard? Too much work? Takes too long? We’ll, if that’s how you feel… hopefully the above benefits about social signals will put you in a better place to do what you have to do. 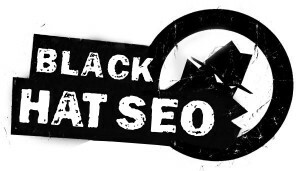 Will BlackHat SEO Still Work In 2015?